I have very dry cuticles so I use this at night and what an improvement. No more splitting on my finger tips. Also used it on some of my psoriasis spots that would not heal and they healed over in 3 days. It smells a little weird but I’ll put up with it if it works and it does. I have thin skin on my hands and forearms. I am always bumping them. I was using a hand creme but it didn’t work that great. 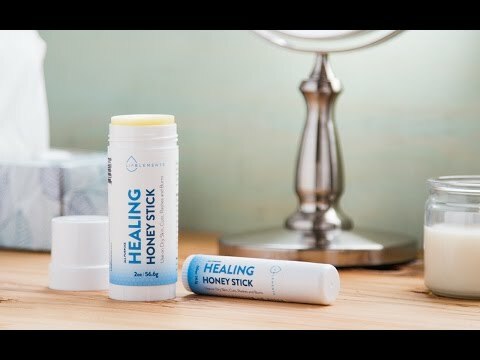 I decided to use the Honey stick and was surprised how fast the sores healed. Thank you so much! This is the BEST healing I have ever had. I have tried everything for chapped lips. This is great, not waxy, greasy. Use it on rough dry skin. Love the stick applicator. I bought one to try it but have already ordered more of the small and large stick. I like the small one to carry with me. Here is a product that does exactly what it says it will do. I have a skin condition that causes breakouts and I had not found anything that would stop it. I just had to let it run its course. 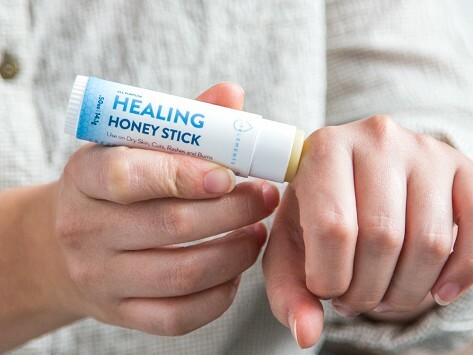 Healing Honey Stick clears up my skin very quickly, and it soothes as it heals. I don't ever want to run of this product! We absolutely love this! Bought for husband, but now we both use it. Highly recommend! This is my second time ordering Healing Honey Sticks. I get both sizes and carry the small one in my bag. Quickly heals just about anything from cuts and scratches to cuticle issues and skin splits around finger nails. I use it every night!